What Happened to Jasmine Moody? In late November 2014, Jasmine Moody, a Texas Woman’s University honor roll student, went to visit a friend in Detroit, Michigan. She disappeared, December 4, 2014, at approximately 7:30 p.m. leaving her friend’s home, around the 3700 block of Baldwin. This location is situated in the Van Dyke and Mack area of Detroit. Her disappearance has baffled police and her family is convinced foul play is involved. According to a Detroit Fox 2 report, “Mystery of what happened to Jasmine Moody continues 1 year later,” private investigator Scott Lewis said, “It was a December night, it was cold outside, 7:30 at night.” Lewis was hired by Moody’s family in a desperate search to find her. “Jasmine left the home with no tablet, no telephone, no money, no credit card, dressed in a sweatshirt. And she’s never been seen again,” Lewis added. Moody was wearing a white hoodie with a burgundy “University of Texas” logo on the front and blue jeans. “I thought she went for a walk. I went for a walk to grab a cigarette and came back, but Jasmine didn’t,” her friend Brittany Gurley told Detroit News. “I don’t know anything. I went searching myself and came up with literally nothing,” she said. 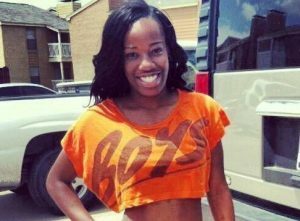 During mid-2014, while living in Texas, Jasmine had pursued an Internet relationship with Brittany Gurley who lived in Detroit. She decided to travel to Gurley to spend the Thanksgiving holiday, arriving on November 25th. She had visited Gurley at her east side residence in Detroit several times before. The girls had met on Twitter and had a romantic relationship for approximately two years. Moody was scheduled to return to Texas December 5th. Gurley stated, “She and Moody got into a fight over a Facebook post.” She continues on claiming Moody “stormed” out of the house. Gurley went out for a cigarette and when she returned several minutes later, Moody was gone. The following day, Moody’s mother Fa’Lisa Nichols desperately tried calling Moody but there was no answer. The calls became more frantic as Nichols talked to her daughter every day on the phone. Moody’s mother did not know her daughter was missing until a week later because Gurley and her family never called her to inform her of the incident. Nichols believes Gurley knows more than she has told police. In November 2015, Moody’s mother along with Moody’s stepfather Patrick Kidd went to Detroit and joined volunteers who searched a mile radius around the location where Moody was last seen, hoping someone would come forward with information. Moody’s parents have gone to Detroit several times to search for their daughter. Photo courtesy of Detroit News 7. “Someone knows,” said Malik Shabazz, a community activist. “I believe the people in that house right there,” as he pointed to Britney Gurley’s family’s home. Moody’s family petitioned Michigan Governor Rick Snyder on Change.org “I Want Michigan State Police to Investigate More on Britney and her family,” demanding police conduct a full and complete investigation and interrogation of Britney. Moody is described as a stable young lady by her parents. During an interview with Tamara Thompson of “Real Talk with Tamara,” Nichol’s was asked if she felt her daughter’s disappearance is suspicious. “I do, I do. I do feel it was suspicious. If she was the type who ran away or disappeared from time to time, I might not be as worried as I am right now. But that doesn’t describe her at all . . . so, with that being said, it is suspicious,” said Nichols. Nichol’s and her daughter spoke every day on the phone. “This is just not right. I know something is just not right,” Nichol’s said. Days pass, months, now years – for a mother desperate to know what happened to her daughter. Moody’s phone, laptop and everything she had with her was found at the home of Gurley. “Jasmine would go nowhere without her phone,” said Nichols. Her mother had discouraged her from traveling to Detroit telling her daughter she had a bad feeling. Moody responded, “Mom, you are so dramatic!”According to family, Moody knew no one else in Detroit and would have felt uncomfortable alone; therefore, she would not have left on foot. Gurley’s friends and her family have not cooperated with police according to Nichols. In fact, when Nichols called and spoke to Gurley’s mother to ask what happened with her daughter the night Moody disappeared, Nichols believes their stories sounded rehearsed. Nichols describes a very close relationship with her daughter and having a very disturbing experience the night Moody vanished. While sleeping, the night of December 4th, Nichols suddenly awoke and heard her daughter’s voice say, “Help me, Momma.” The following day she couldn’t dismiss the feeling and arrived at work with tears in her eyes. She called her daughter’s phone. No answer. Nichols describes that day beginning a 3 year nightmare and turning her entire life upside down. Nichols claims, “In the beginning, the detectives from the Detroit Police Department did not stay in touch regarding the case. No updates, no return calls and they had not even entered Moody’s information into the FBI National Crime Information Center (NCIC) correctly. Since then, a new detective was assigned who calls to check in and has been very responsive making each passing day “not knowing” a little easier. A young black woman goes missing. Where is the national media attention? Moody’s disappearance generated some local media attention initially; however, no mention on national news. In comparison to other missing person cases such as Natalie Holloway, Chandra Levy, and Laci Peterson, the news media coverage has been minimal. Black and Missing Foundation works with the families of the missing, media and law enforcement nationwide to ensure equal attention and resources are available to every black missing adult and child. The nonprofit has become well-known for addressing the disproportionate amount of media attention and cited in hundreds of articles throughout the United States. According to statistics on the Black and Missing website, as of 2011, there were 692,944 entries of missing persons in the FBI’s NCIC system, of that 33% were black missing persons totaling 229,736. There is a $2,500 reward offered for information leading to the whereabouts of Jasmine Moody and the prosecution of anyone involved in her disappearance. 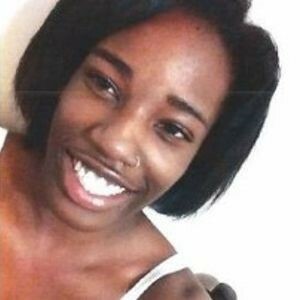 If anyone has information about the whereabouts of Jasmine Moody, please call Crime Stoppers at 1-800-SPEAK-UP.